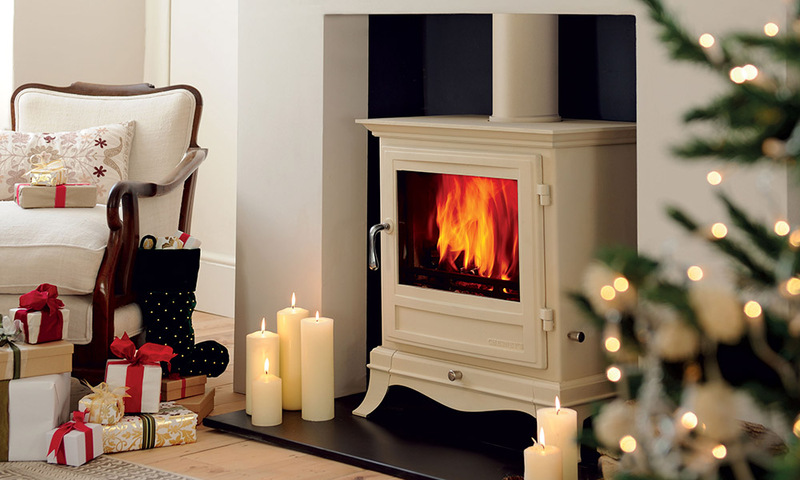 Topstak, the popular family-run business in the Vale of Glamorgan and Monmouth, has a fantastic range of stoves to choose from – guaranteed to keep you warm and glowing during the chilly winter months. One of the high-quality brands stocked by Topstak is Chesney’s, renowned for their beautiful designs aimed at both modern and traditional settings, and their lovely fire surrounds to complete the look. Working in association with the National Trust, Chesney’s has produced a new range of high-efficiency stoves in a choice of styles and colours – from traditional black to stylish silver and the distinctive ivory shade. Topstak’s Chesney’s stoves boast substance as well as style, and their pre heated airwash system ensures a really controllable clean burn. This in turn means clean glass, so that you can sit back and enjoy the flames. Chesney’s has been using the latest technology to create a range of wood burning stoves that combine efficiency with minimal emissions. The 4 and 6kW models were recently granted approval for burning wood in smoke control areas. The stoves are made using trustworthy and sophisticated manufacturing processes, and the bodies of Chesney’s stoves come with a five-year guarantee. Topstak employs a team of experts at both its showrooms, so if you’d like to have a look around, and see these stoves for yourself, you are more than welcome. The team is also happy to answer any queries you might have about which model will suit your home and your environment best.